There are literally countless ways that organic farming helps people, their agriculture systems, farming, yield, environment and the whole eco-system. If I were to enumerate them all, this page won’t be enough but please allow me to state a few facts and if possible, figures that state how much our world can recover from the devastation that it has undergone in the past centuries of using chemicals and unsafe agricultural products alone. I remember in my early childhood, I used to use just plain dried carabao manure to fertilize all my ornamental plants. Yes, I love them so much that I can’t help but experiment back then at probably an early age of 11 or 12. I was almost in high school that time but I already developed that inkling love for plants and planting and backyard gardening. I used to have varieties of mayana, a local plant used to remedy pain and numbness due to the skin turning violet from bumping into the chair or table corners. We sometimes use this herbal cure to mumps and boils to take out the pus. You’ve probably seen this in old unhealed wounds and in the corners of your fingertip nails when you accidentally pull off the ingrown and wet your nails. Anyway, just so that you know how and what I love planting, I also used to own my own variety of flowering plants from daisy to ground orchids, orchids and bromeliads of different variety, palong palungan (a local name for a flowering plant) and more. In short, using plain carabao manure has helped me grow my plants beautifully and a regular flower would be out to sprout even during off season planting. You will notice this whenever you see other regular plants that don’t get the treatment of regular plant organic fertilizer like what I use. 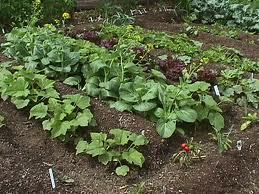 On the other end, how organic farming and fertilizer helps farmers, small growers and backyard gardeners is a wonder to some. To me, it is not. That is because I’ve seen myself the power of rejuvination out of using organic waste manure as my fertilizer. What used to not produce flowers on a regular basis has exceeded my expectations and what best is that the effect of its use is instant and lightning-fast. This way, we all know that if plants get the right nurturing, they also produce well in terms of oxygen which people and our ozone and environment needs. This means that the more you use organic fertilizer, the bigger chances are, you are curing your soil problems, providing the right nutrients that plants need and eventually helping them produce quality oxygen both for us humans and our environment and best of all, they give us the beauty that we can’t see for long in using chemicals that only provide artificial and temporary effect. In the end, if people, farmers and small growers as well as backyard gardening geeks like me use organic fertilizer, the more we heal our soil, the more it will give us back and the more healthy we become by avoiding the damage in the food produce that we buy and eat in supermarkets and “palengke”. 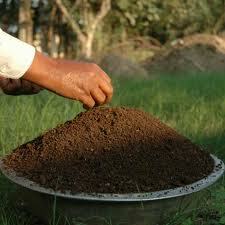 One of the best recommended alternative to organic farming and planting is composting. With composting, we don’t just recycle our bio degradable waste material but we also provide the fertilizer that we need and can use in any plant. Combining this with worm composting, we can product a powerful ally in preventing further damage to the soil that gives us the food we eat and the land we live in. Currently, I use ANC or African Nightcrawlers to compost my kitchen waste and I have just started to plant a small cucumber in a pot. Will feature it here as soon as it has recuperated from the pot transfer that I did. Just to let you all know, I planted the seeds in pure vermicompost / vermicast to test the reliability of strength in my seed offspring. As for now, I have grown 4 inches in 1 week of planting my cucumber seed. I will take a picture of it and post it here as an update. I also have my very own small set up of worm composting bin filled with 1 kilo of ANC bio degradable-eating creatures. I am probably producing quite an amount of vermicast at this point and will share the results. In the meantime, if you want to know how to put up your own vermicomposting bin, set it up with the use of this video below.